05602-045420 Telephone orders "Prompt delivery and great after sales service"
Wall mountable heater unit, horizontal fixing. Two heat settings 1250 and 2500 Watts. 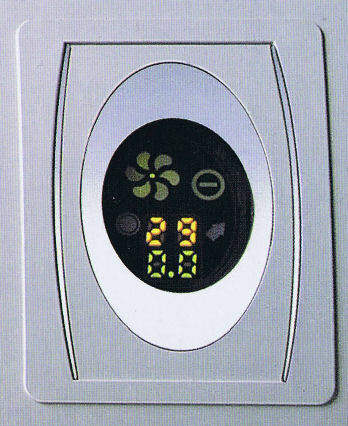 Room temperature control with digital read out.